In the Trekkie Trax song catalog, Cola Splash’s “Curry Drinker” stands as a fan favorite…at least based on seeing people react to it at various DJ events and other live gatherings. It is a pretty good snapshot of what the label is all about — it manages to be both hard-hitting and fluttery, pacing itself just right to be one of Trekkie Trax’s finest bangers. Despite that, Cola Splash has been pretty quiet since putting that one out! 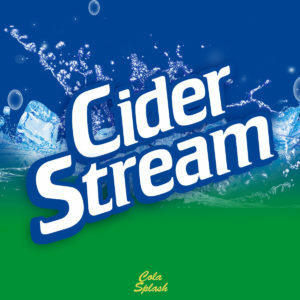 But no longer, as now comes the Cider Stream release, a three-track blast of familiar dance energy. The title track recreates a familiar fizzy rush, starting off around sliced-up vocal samples before building up to a big drop, with the slight twist that this central part isn’t quire total release but rather a more reserved outburst. “Crying Salmon” takes this start-stop dynamic even further, while “Charming Steak” moves at a more consistent pace. Glad to see Cola Splash back bringing the same energy. Get it here, or listen below.